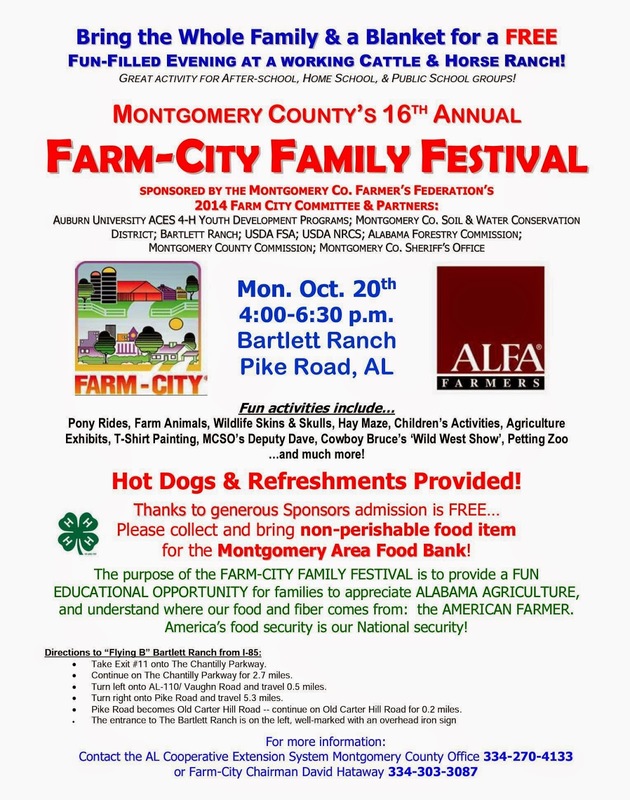 Monday 10/20/14 from 4-6:30 pm at Bartlett Ranch in Pike Road, Al. Fun activities include pony rides, farm animals, wildlife skins and skulls exhibit, hay may, children's activities, agriculture exhibits, t-shirt painting, Cowboy Bruce's Wild West Show, petting zoo and much more! Hot dogs and refreshments provided! This is a FREE event however they are requesting donations of a non-perishable item for the Montgomery Area Food Bank. We went to this 2 years ago and had a great time! Missed it last year but we will probably go this year again. I suggest doing the t-shirt painting early so they have time to dry while you walk around and see the other activities. The flyer says bring a blanket and that is a good idea because you will have somewhere to sit and eat your hot dog. Look out for ants- there were lots the last time we went. Halloween ComicFest 2014 10/25/14 FREE Comics!